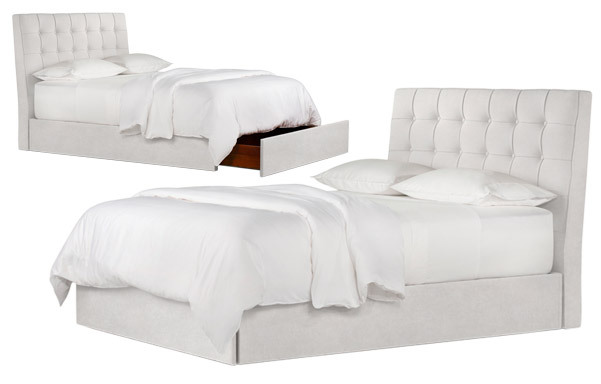 A classic, clean and crisp platform bed design. 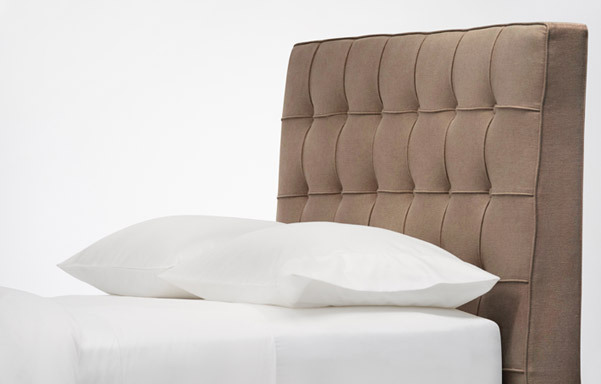 The carefully detailed headboard is upholstered in soft, durable fabrics with hand-tufted buttons and welts. 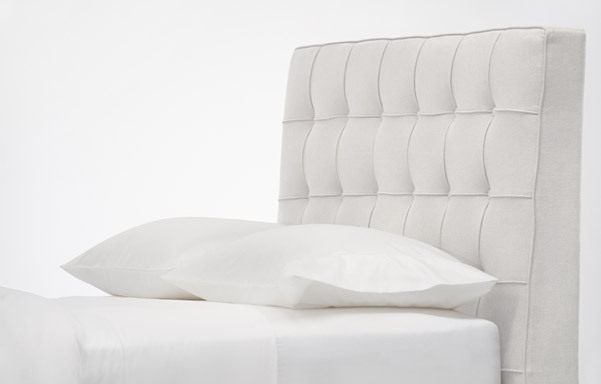 The layered inner upholstery make it very comfortable and durable. 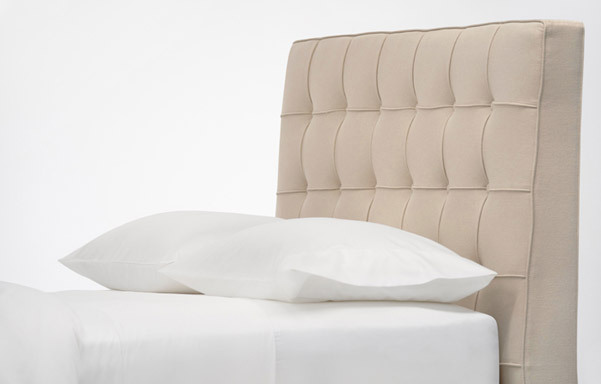 Fabric choices are are Linen, Natural White and Brown Velvet. 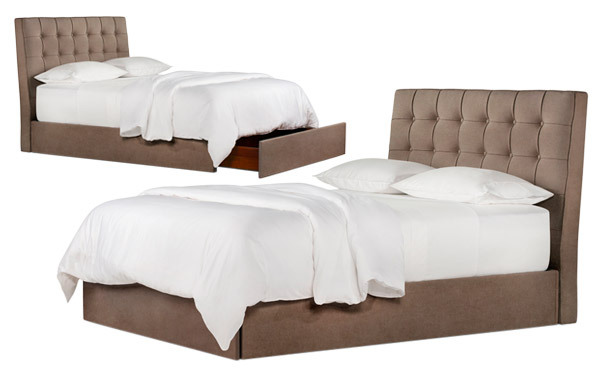 Available as: HEADBOARD, PLATFORM BED or STORAGE BED.